“Variables” are simply storage locations for data. You can place data into them and retrieve their contents as part of a C# expression. The interpretation of the data in a variable is controlled through “Types”. C# is a “Strongly Typed” language. Thus all operations on variables are performed with consideration of what the variable’s “Type” is. There are rules that define what operations are legal in order to maintain the integrity of the data you put in a variable. The C# simple types consist of the Boolean type and three numeric types – Integrals, Floating Point, Decimal, and String. The term “Integrals”, which is defined in the C# Programming Language Specification, refers to the classification of types that include sbyte, byte, short, ushort, int, uint, long, ulong, and char. More details are available in the Integral Types section later in this lesson. The term “Floating Point” refers to the float and double types, which are discussed, along with the decimal type, in more detail in the Floating Point and Decimal Types section later in this lesson. The string type represents a string of characters and is discussed in The String Type section, later in this lesson. The next section introduces the boolean type. Boolean types are declared using the keyword, bool. They have two values: true or false. In other languages, such as C and C++, boolean conditions can be satisfied where 0 means false and anything else means true. However, in C# the only values that satisfy a boolean condition is true and false, which are official keywords. Listing 2-1 shows one of many ways that boolean types can be used in a program. 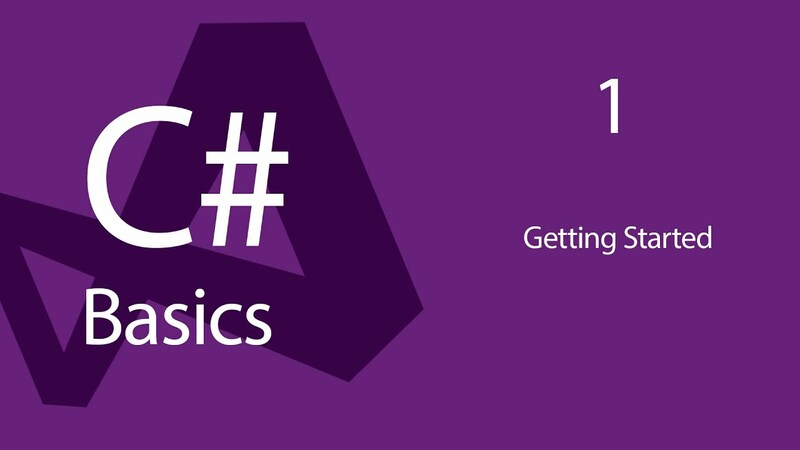 It is True that C# Station provides C# programming language content. The statement above is not False. In C#, an integral is a category of types. For anyone confused because the word Integral sounds like a mathematical term, from the perspective of C# programming, these are actually defined as Integral types in the C# programming language specification. They are whole numbers, either signed or unsigned, and the char type. The char type is a Unicode character, as defined by the Unicode Standard. For more information, visit The Unicode Home Page. table 2-1 shows the integral types, their size, and range. Integral types are well suited for those operations involving whole number calculations. The char type is the exception, representing a single Unicode character. As you can see from the table above, you have a wide range of options to choose from, depending on your requirements. A C# floating point type is either a float or double. They are used any time you need to represent a real number, as defined by IEEE 754. For more information on IEEE 754, visit the IEEE Web Site. Decimal types should be used when representing financial or money values. table 2-2 shows the floating point and decimal types, their size, precision, and range. A string is a sequence of text characters. You typically create a string with a string literal, enclosed in quotes: “This is an example of a string.” You’ve seen strings being used in Lesson 1, where we used the Console.WriteLine method to send output to the console. Some characters aren’t printable, but you still need to use them in strings. Therefore, C# has a special syntax where characters can be escaped to represent non-printable characters. For example, it is common to use newlines in text, which is represented by the ‘\n’ char. The backslash, ‘\’, represents the escape. When preceded by the escape character, the ‘n’ is no longer interpreted as an alphabetical character, but now represents a newline. You may be now wondering how you could represent a backslash character in your code. We have to escape that too by typing two backslashes, as in ‘\\’. table 2-3 shows a list of common escape sequences. Another useful feature of C# strings is the verbatim literal, which is a string with a @ symbol prefix, as in @”Some string”. Verbatim literals make escape sequences translate as normal characters to enhance readability. To appreciate the value of verbatim literals, consider a path statement such as “c:\\topdir\\subdir\\subdir\\myapp.exe”. As you can see, the backslashes are escaped, causing the string to be less readable. You can improve the string with a verbatim literal, like this: @”c:\topdir\subdir\subdir\myapp.exe”. That is fine, but now you have the problem where quoting text is not as easy. In that case, you would specify double double quotes. For example, the string “copy \”c:\\source file name with spaces.txt\” c:\\newfilename.txt” would be written as the verbatim literal @”copy “”c:\source file name with spaces.txt”” c:\newfilename.txt”. Left associativity means that operations are evaluated from left to right. Right associativity mean all operations occur from right to left, such as assignment operators where everything to the right is evaluated before the result is placed into the variable on the left. Most operators are either unary or binary. Unary operators form expressions on a single variable, but binary operators form expressions with two variables. Listing 2-2 demonstrates how unary operators are used. When evaluating expressions, post-increment (x++) and post-decrement (x–) operators return their current value and then apply the operators. However, when using pre-increment (++x) and pre-decrement (–x) operators, the operator is applied to the variable prior to returning the final value. In Listing 2-2, the unary variable is initialized to zero. When the pre-increment (++x) operator is used, unary is incremented to 1 and the value 1 is assigned to the preIncrement variable. The pre-decrement (–x) operator turns unary back to a 0 and then assigns the value to the preDecrement variable. When the post-decrement (x–) operator is used, the value of unary, 0, is placed into the postDecrement variable and then unary is decremented to -1. Next the post-increment (x++) operator moves the current value of unary, -1, to the postIncrement variable and then increments unary to 0. The variable bitNot is initialized to 0 and the bitwise not (~) operator is applied. The bitwise not (~) operator flips the bits in the variable. In this case, the binary representation of 0, “00000000”, was transformed into -1, “11111111”. While the (~) operator works by flipping bits, the logical negation operator (!) is a logical operator that works on bool values, changing trueto false or false to true. In the case of the logNot variable in Listing 2-2, the value is initialized to false, and the next line applies the logical negation operator, (! ), which returns true and reassigns the new value, true, to logNot. Essentially, it is toggling the value of the boolvariable, logNot. The setting of positive is a little tricky. At the time that it is set, the postIncrement variable is equal to -1. Applying the minus (-) operator to a negative number results in a positive number, meaning that positive will equal 1, instead of -1. The minus operator (-), which is notthe same as the pre-decrement operator (–), doesn’t change the value of postInc – it just applies a sign negation. The plus operator (+)doesn’t affect the value of a number, assigning negative with the same value as postIncrement, -1. Notice the expression (sbyte)(~bitNot). Any operation performed on types sbyte, byte, short, or ushort return int values. To assign the result into the bitNot variable we had to use a cast, (Type), operator, where Type is the type you wish to convert to (in this case – sbyte). The cast operator is shown as the Unary operator, (T)x, in table 2-4. Cast operators must be performed explicity when you go from a larger type to a smaller type because of the potential for lost data. Generally speaking, assigning a smaller type to a larger type is no problem, since the larger type has room to hold the entire value. Also be aware of the dangers of casting between signed and unsigned types. You want to be sure to preserve the integrity of your data. Many basic programming texts contain good descriptions of bit representations of variables and the dangers of explicit casting. In addition to unary operators, C# has binary operators that form expressions of two variables. Listing 2-3 shows how to use the binary operators. Listing 2-3 shows several examples of binary operators. As you might expect, the results of addition (+), subtraction (-), multiplication (*), and division (/) produce the expected mathematical results. The floatresult variable is a floating point type. We explicitly cast the integer variables x and y to calculate a floating point value. There is also an example of the remainder(%) operator. It performs a division operation on two values and returns the remainder. The last statement shows another form of the assignment with operation (+=) operator. Any time you use the assignment with operation operator, it is the same as applying the binary operator to both the left hand and right hand sides of the operator and putting the results into the left hand side. The example could have been written as result = result + x; and returned the same value.